SEAT Executive Committee Chairman Luca de Meo delivered the annual results this morning on the occasion of the first edition of the 2016 "Encuentros SEAT" meeting, under the title "Quality: success factor of Spanish industry". The increase in sales is a result of recovery in Spain (77,200 vehicles; +14.3%) and Italy (15,900; +22.1%), the fifth consecutive year of growth in Germany (87,800; +3.8%) and the successful Mexican market (24,100; +13.2%), which is the fourth largest for SEAT. In addition, the brand achieved its best-ever sales result in countries such as Switzerland, the Czech Republic, Denmark, Turkey, Israel, Tunisia and Morocco. Regarding the models, sales of the Leon went up by 4.4% (total: 160,900 units) and was once again the brand's top-selling car. Meanwhile, the Alhambra posted the highest increase (17.2%) and achieved the second best sales result in its history (27,000). The Ibiza also made progress, with a 2.4% growth, amounting to a total of 153,600 delivered vehicles. When speaking about 2016, Luca de Meo explained that "the highlight of the year will be the launch of the first compact SUV in the history of the company", which is due to reach the dealerships in the middle of the year. It will be joined by three more new models in 2016 and 2017. "The SUV is set to become the brand's third major pillar, together with the Leon and the Ibiza, and will enable us to cover the fastest growing segment in recent years", said SEAT Executive Committee Chairman. 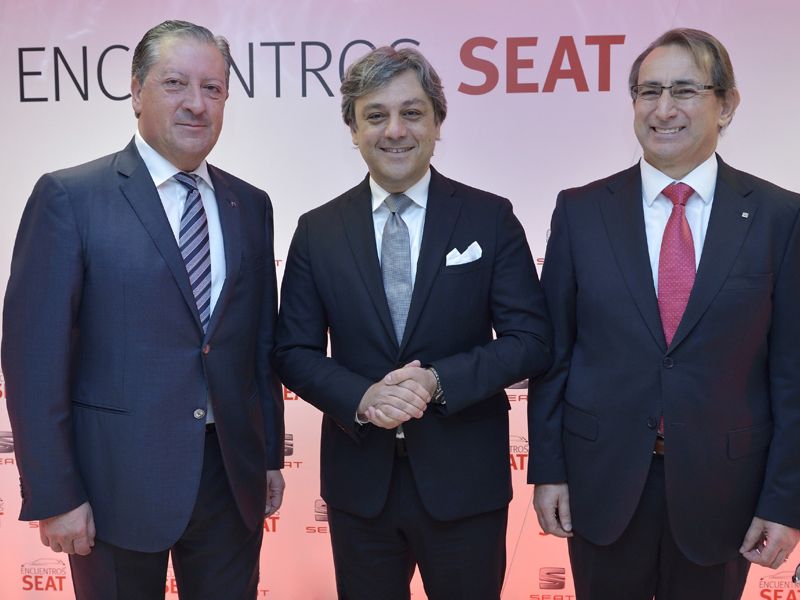 Furthermore, in his presentation, SEAT Quality Director Joaquín Serra highlighted the opportunities for the brand to improve competitivity through excellence in quality. "Design, quality and cost efficiency are key elements. The Quality department is involved in the entire cycle of the automobile, from vehicle design and development to supplier component industrialization and in-house production, all the way to after-sales service. The challenge for the entire Quality team is to make SEAT a distinctive brand with industrial excellence".